Now in it's 18th year, New Hope Arts hallmarks contemporary work being created today in our region and beyond. 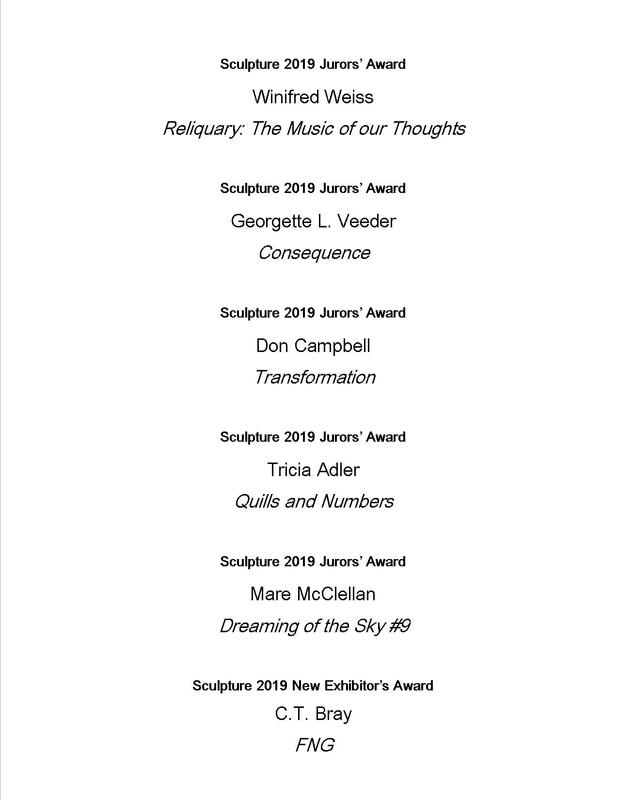 New Hope Arts 18th Annual Juried Exhibition, Sculpture 2019 features 60 art works from March 2 to 24. Sculpture at New Hope Arts is always a much anticipated and enthusiastically received presentation for artists and viewers alike. The exhibitors selected from over one–hundred- fifty entries include innovative contemporary artists who work in a wide variety of media. This year’s jurors, Kate Graves and Michael Cooper, both current exhibitors in New Hope Arts’ Outdoors Sculpture Project, assembled an exceptional, diverse and entertaining display. Gallery Hours are free to the public Fridays through Sunday from Noon until 5 pm. Johnson Atelier trained sculptor and regional contributor for major exhibitions since 1995, Kate is a master technician with a sensitive curatorial eye. Her work is included in the New Hope Arts Outdoor Sculpture Project. Michael Cooper is a professional graphic designer with over 30 years experience. His transformation to sculpture includes a decade of constructions and experience which culminated in several major outdoor sculpture installations in the region. His work is included in the New Hope Arts Outdoor Sculpture Project.